It takes awhile to get over a failed relationship. 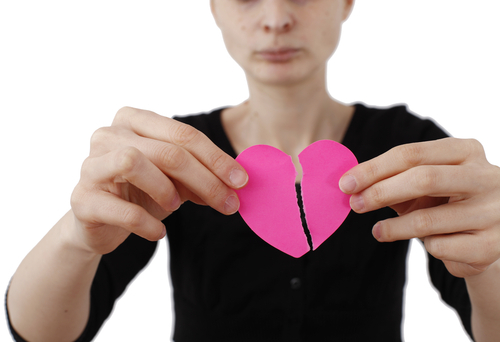 While the relationship may be over, the hurt and pain from the breakup lingers. Worse, some people may still harbor some bit of love of their ex. This makes it hard for them to get over and move on. It takes time before people get closure and some sense of finality. Here are some signs that you have learned to move on and get over your ex. Hearing about your ex no longer hurts or bring pain. After a failed relationship, painful feelings and emotional hurt may still remain. Any mention of an ex can relive the hurt and the pain. It takes quite a while for the emotional wounds to heal. One is only able to move on when the ex no longer has this painful effect. Your ex already has a new partner, and you are no longer affected. One sign that you are have moved on from your previous relationship is how you react when your ex has found a new partner. If it no longer affects you knowing that your ex has found someone else, then you have already risen over the pain and the hurt. Being happy for your ex upon hearing about the new relationship shows that you are letting go of the emotional baggage and setting yourself free from a failed relationship that was not meant to be. You no longer use your ex as the measuring stick for your current dates. You know you are still pining for your previous relationship when your ex still comes to mind whenever you go on dates with other people. While you seek out new prospects for love, you still cannot stop comparing them from your ex. You know when you have already moved on when you stop comparing your current dates with your previous partner. You consider some of your bad dates as simply not going too well and not because they do not measure up to how your ex treated you. You feel happy even on your own. Some people just fear being alone once a relationship ends. That is just normal for most people while they go through the adjustment period. You know that you have moved on when you no longer feel sad on days when you are on your own. You begin to enjoy the freedom of a relationship-free life. Is Your Boyfriend Not Marriage Material?